The Freight Transport Association (FTA) has cited new figures published by the Society of Motor Manufacturers and Traders (SMMT) to highlight the significant importance of the UK logistics sector to the nation's smooth running. According to the SMMT, the number of vans in operation up and down the country has now exceeded four million – highlighting the massive impact that light commercial vehicles have on the daily function of the UK as a whole. 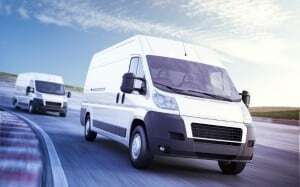 Overall, the figures showed there has been a 4.3 per cent increase in the number of vans that are being used for all manner of services by their owners during the last 12 months, while demand for this type of vehicle "remains strong". Responding to the figures, FTA head of vans Mark Cartwright commented: "This further demonstrates the continued growth of vans and their importance to the UK economy in supporting online and entrepreneurial activity. "However, with great power comes great responsibility, and it is incumbent on operators of all sizes and sectors to ensure that they operate their vehicles in a safe, compliant and efficient manner." He added that fleet operators across the UK must ensure their vehicles are being properly maintained at all times, with the ongoing FTA Van Excellence programme a perfect way to showcase this fact for firms that are committed to delivering industry best practice in this area.